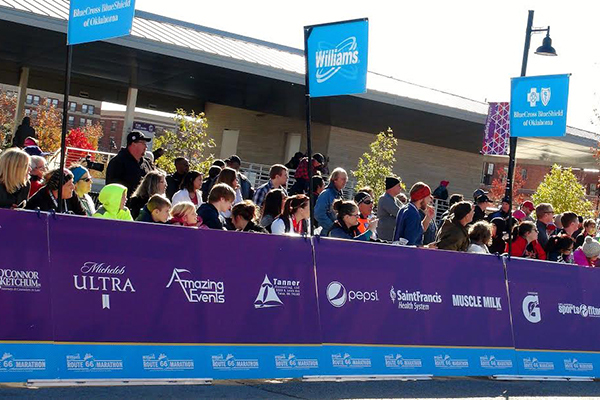 We offer a wide variety of sign holders for your event signage. Listed below is each type of holder, its dimensions and the size of the sign that should be used with each holder. The most common signage applied to our holders are mile markers, directional signs, traffic signs, informational signs and sponsor signs. 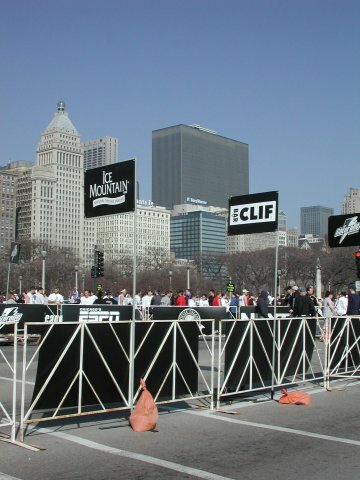 “H” Poles are free standing sign holders that are typically used for mile markers on the course or site maps. They have two feet and are held in place by heavy weights. 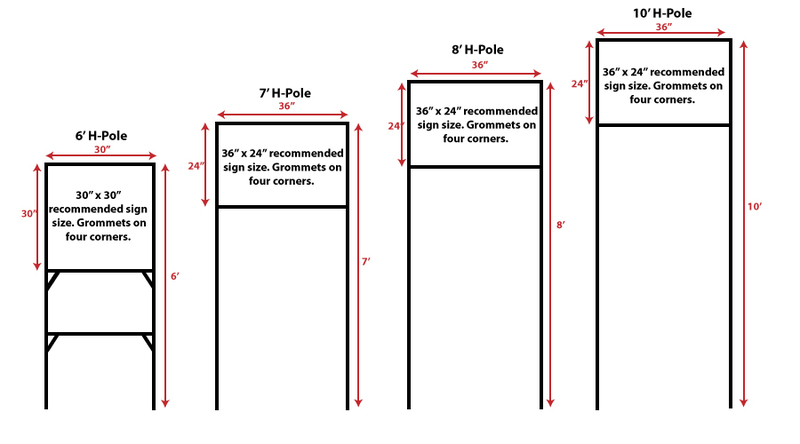 The 6′ H-Pole is the most commonly used. The taller H-Poles are more likely to get knocked over in heavy winds. 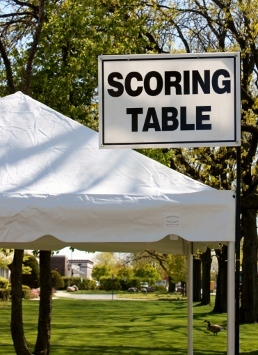 30″x 30″ signs are recommended for the 6′ H-Pole and 36″ x 24″ signs are recommended for the 7′, 8′ and 10′ H-Poles. Super “H” Poles are affixed to the legs of a tent. 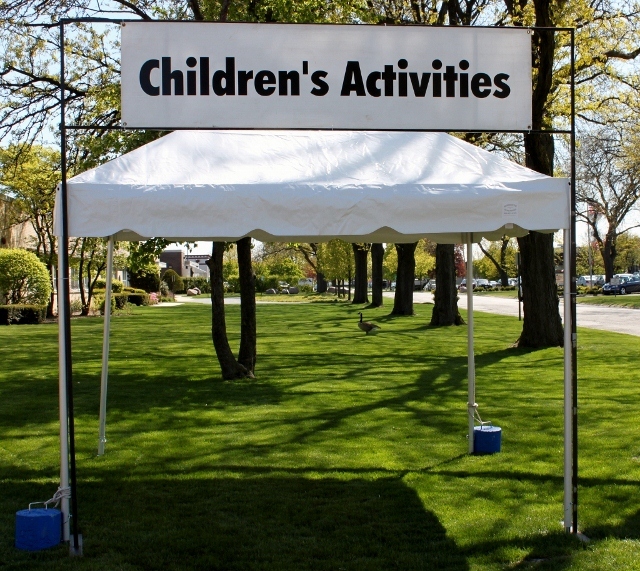 They are most commonly used with a 10’x10′ tent. Like “L” Poles they are used to identify tents and stand high above the crowd for people to see from a ways away. It is 10′ high by 10′ wide. 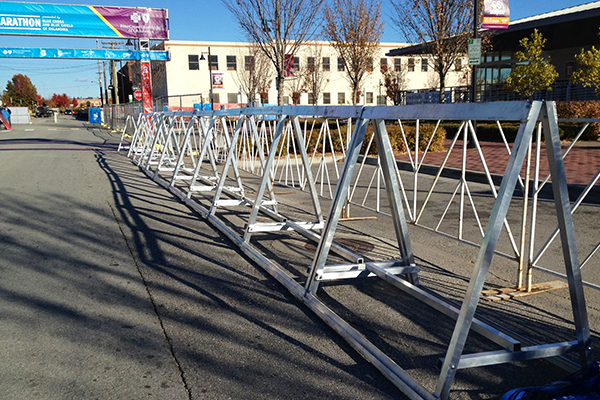 “A” Frame Sign Holders hold coroplast signs. 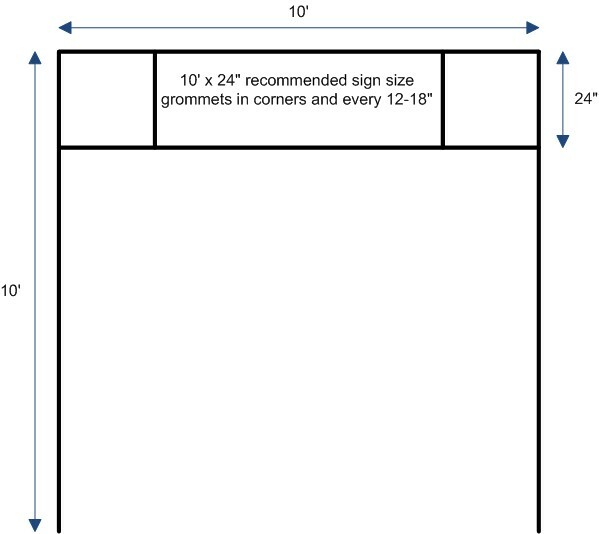 The sign holders are 4′ h x 5′ w.